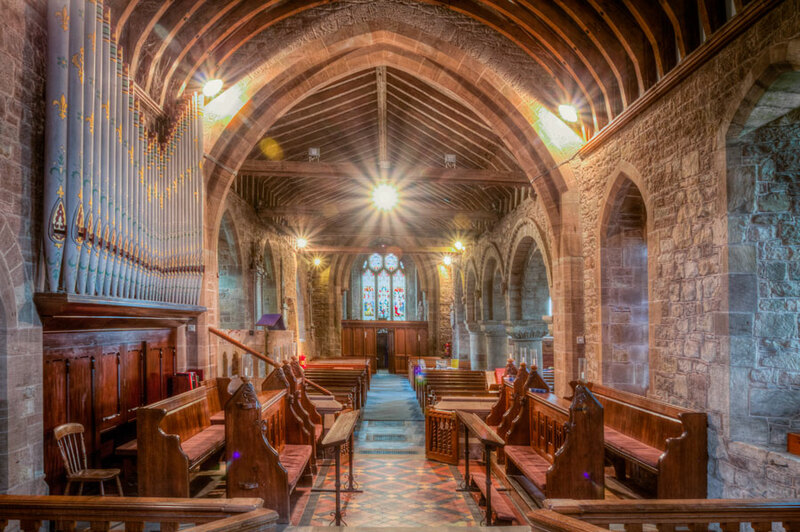 The NADFAS Record of Church Furnishings 2016 by the ROSS-ON-WYE CHURCH RECORDERS' GROUP, commenced in 2014 under the incumbency of the Reverend Neil Patterson and was completed in 2016. 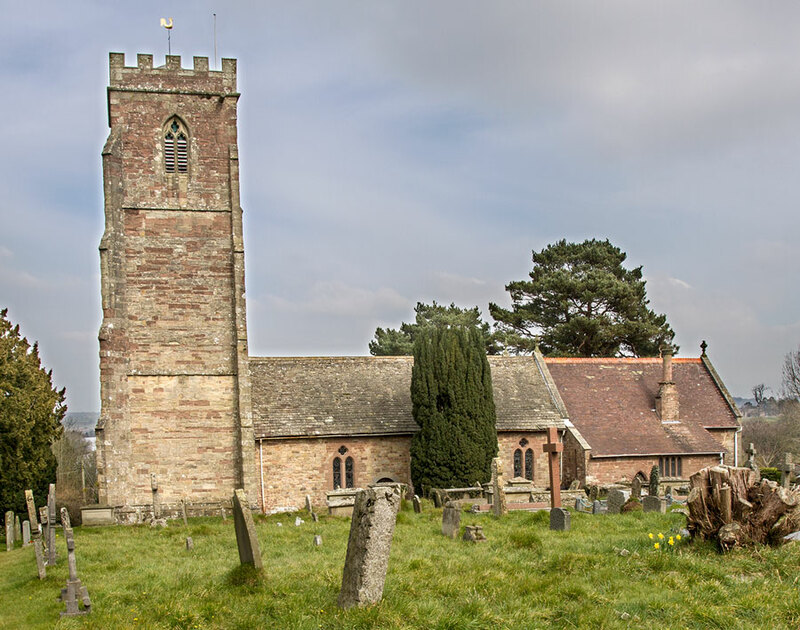 St Lawrence is situated 2 miles east of Ross-on-Wye and is in the "Greitreue Hundred" Grey Tree Hundred. The parish is mentioned in the Domesday book. 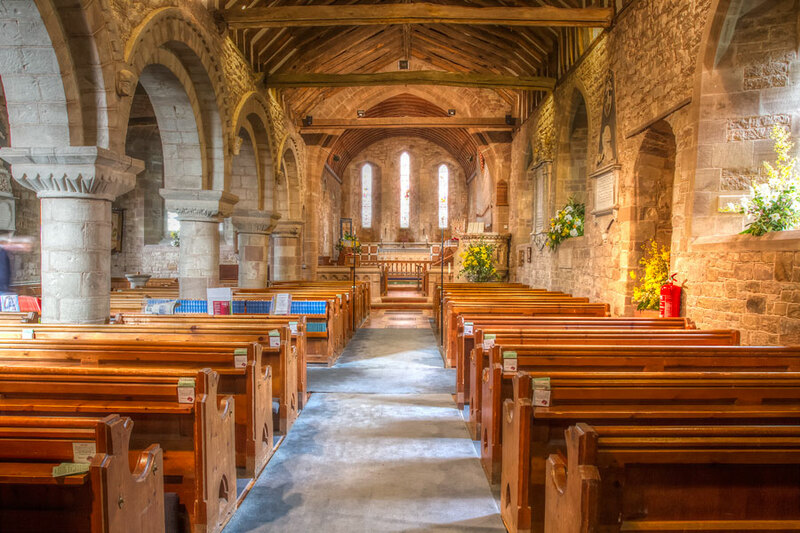 The first known church was built during 12th century although an earlier timber church may have been constructed. It was built as part of the Ross on Wye parish. In 1683 the parish was granted a separate entity and allocated glebe land to support the church and its vicar. In the 12th century the original church was built of local sandstone rubble with ashlar dressing, tiles and stone slates. In the 13th century the first major alteration took place with the chancel and north aisle being added. 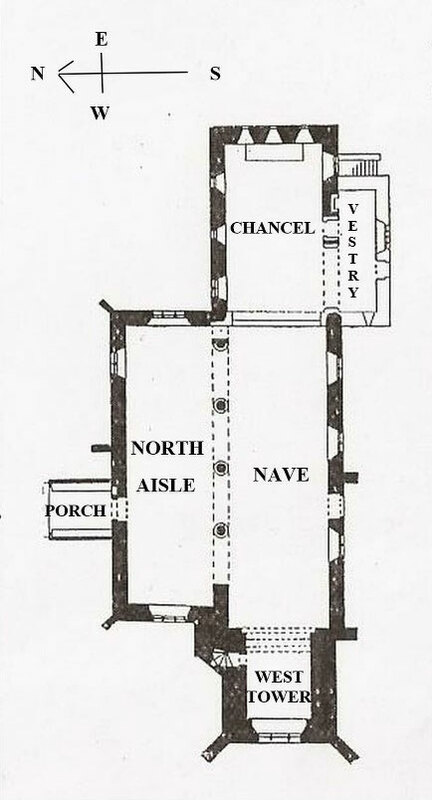 In the 14th century the chancel was rebuilt and probably extended and the fine tower was added. The set of bells was added in 1704 but following a lightening strike in 1750 the spire was removed. In 1867 the church was extensively restored and the south vestry added. The floor of the chancel was raised and the ledger stones were all removed. In 1914 a manual clock was installed in the tower, recently been updated with an electrical winding system. In 1927 the tower was refurbished with a donation from the Nurse family who now live in America. In 1982 the nave roof was restored and in 2000 as part of the centenary celebrations the chancel roof was also repaired. This Record has been sponsored by the Ross-on-Wye Decorative and Fine Arts Society.